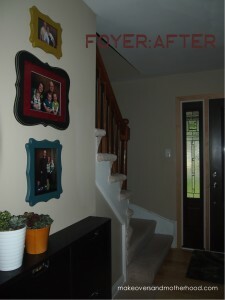 Consider the foyer or entryway as part of the welcoming committee to your home. It is your greeting place, where you embrace and receive family and friends. Therefore, your goal should be for the foyer to be just as friendly and accepting. 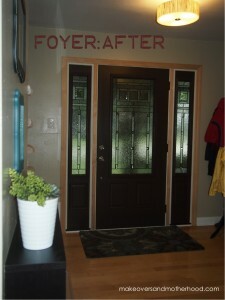 Plus, it is the first impression visitors will have of your abode. 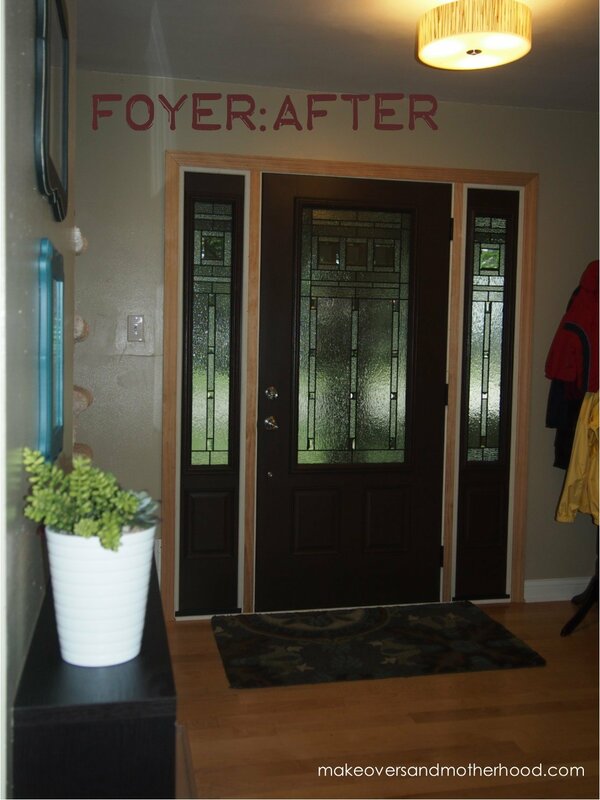 How do you feel when you enter your home through the foyer? What do you notice? Is it cluttered? Is there a place for guests to hang coats and take off their shoes? How is the lighting? Do the colors reflect your family’s personality? Do the colors lead your guests into the rest of your home or does it abruptly stop? Is there ample room to greet guests? Paint. Picking the perfect paint color is quite a big task. Why? Because a house needs to flow, especially in homes with an open layout and long, unbroken wall space. I prefer neutral walls. I like to add splashes of color and contrast in decorating. Painting a wall can be a tedious task verses updating wall hangings and decorations to reflect seasonal colors or my change of taste. I have a whole post dedicated to “How to Pick the Perfect Paint Color” coming soon so stay tuned and you’ll understand why we chose Cathedral Stone and a sandy taupe for our color palette. Lighting. I love chandeliers, but it was not feasible for this space. 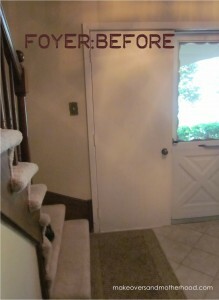 (If you have a vaulted entryway, go ahead and go for big and beautiful.) We have 8’ ceilings and we needed to make sure even our tallest of friends had clearance. We also wanted a light with some personality. 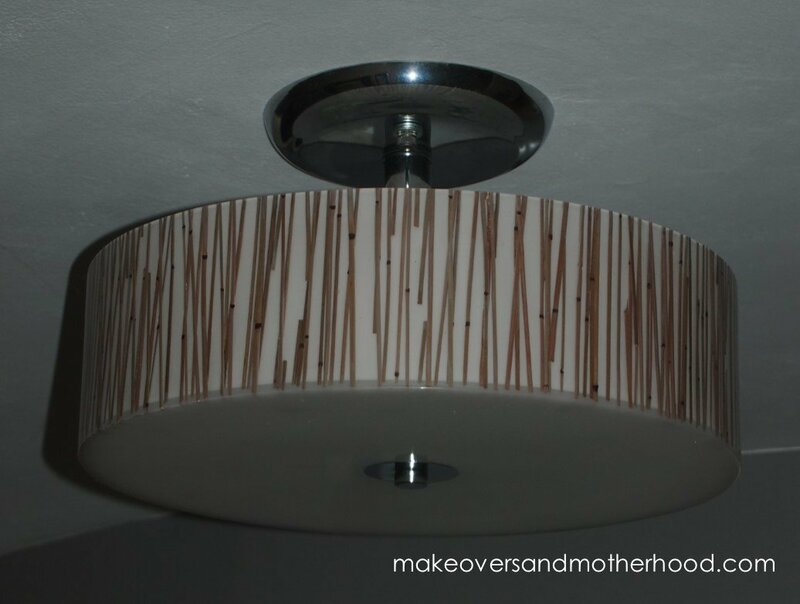 We had already picked out our paint colors so this short-stemmed hanging light fixture with taupe & brown accents made it a perfect fit. 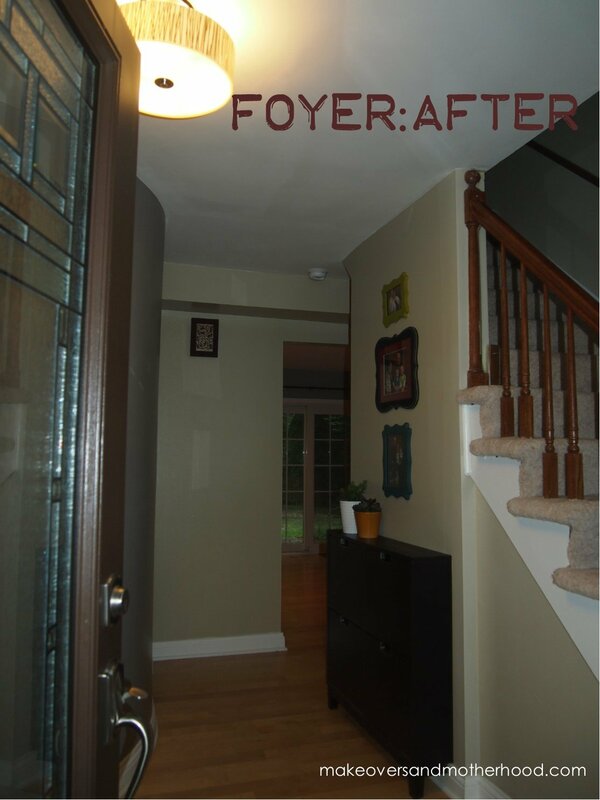 Our biggest lighting improvement came when we replaced the solid double doors with a single ¾ glass paned door and sidelights. I understand this can be very costly or even prohibited by landlords. 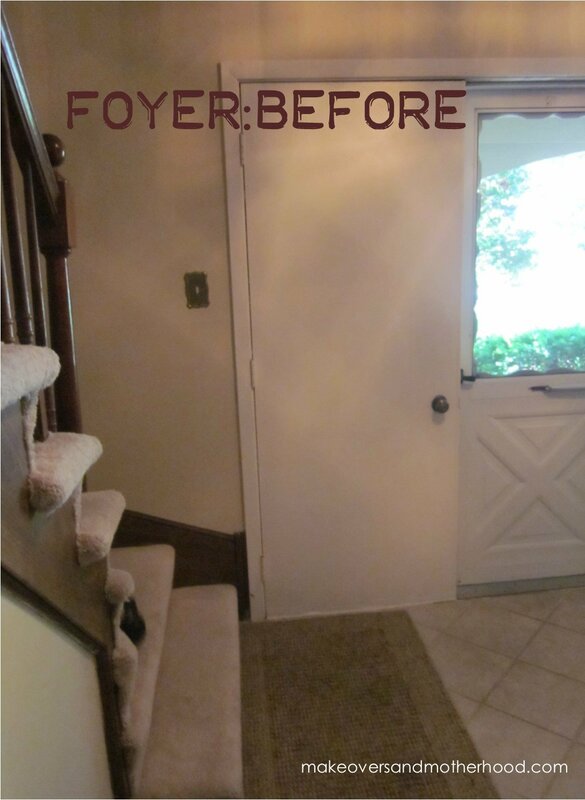 However, if you are considering replacing your door, think of not only the exterior appearance, but how it will affect your interior appearance and lighting as well. Decorating. This actually took some thoughtful consideration for me and I tried out several pieces. 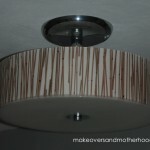 Options for the round wall seem to be limited to wallpaper, stenciling, or wall decals. I’m still musing over this one, but for now I’ll keep it plain. Therefore there were only two decorating spaces left. Straight in front of the front door below the doorbell or over the shoe cabinet. I chose the shoe cabinet to focus on. 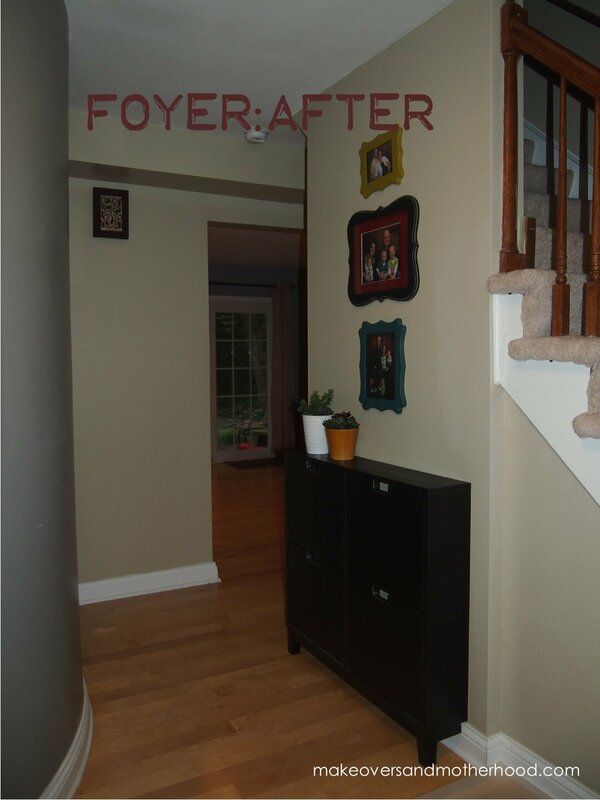 I initially used one large frame to display our family picture (which felt dull and overdone) and tried a myriad different ideas for the top of the shoe cabinet, none of which “did it for me.” I wanted color. I wanted simple. 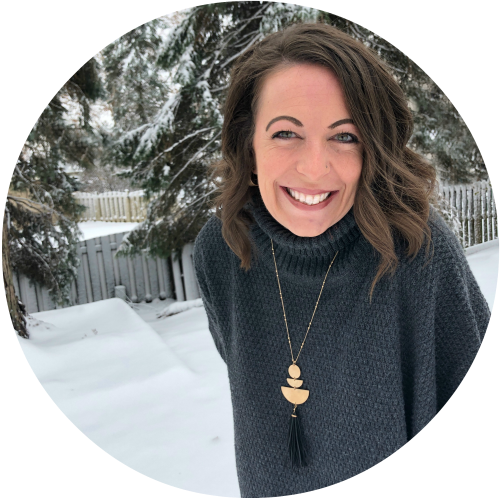 I wanted to capture our liveliness and energy and yet welcome our guests. Finally, I stumbled upon the solution in the frame department of Hobby Lobby! Colorful, shapely, expressive frames! And, with a couple simple, self-arranged (fake) succulents, my goal was achieved! I would like to note that details do count. 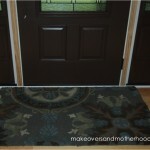 Even something as simple as a floor rug can make a big impact in your room, especially a small space. Consider if the size is appropriate and how the colors will blend. Do the colors compliment your paint palette? Don’t know? Pick out at couple rugs and lay them out at home. 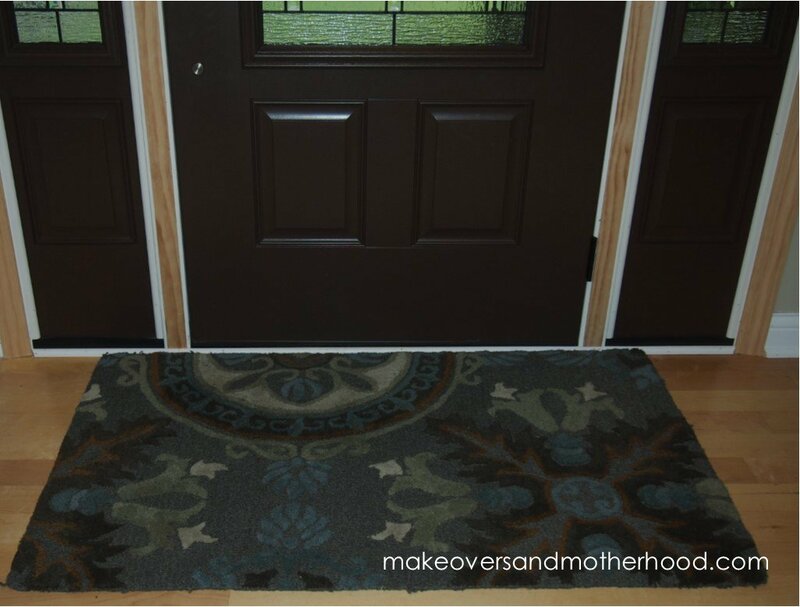 I bought two rugs I thought I would like, but positioning them in the foyer gave the grey/blue/brown patterned one clear staying rights! Love the transformation! Great job. Thanks so much! It made a HUGE difference in our home! 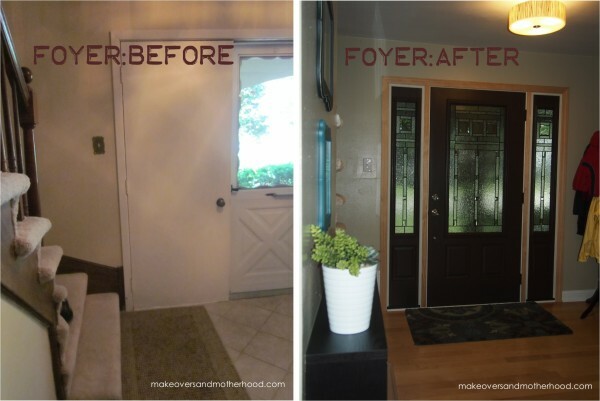 It’s amazing what a difference a door and natural light can make! where did you get that awesome piece of furniture in your foyer? Great post! Congratulations on your fantastic new renovations! Thank you for sharing!! Ok… silly me, I just found the answer in your article!! 4 eyes, and none of them are working today!! It’s interesting to see how much the same our houses were. We have the same tile in the foyer that you had. I love the doors you have. We did notice the lack of light and, somewhat worse in our mind, the lack of being able to see who is at the door. Somewhere down the road we’ll changes ours too. 🙂 I will say though, having the double doors is AWESOME when you first move in. There was nothing that was even a close fit coming though those two open doors. I absolutely agree with you on all your points on the door, Richard! 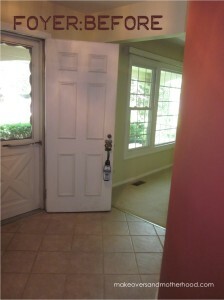 Yes, the double doors were a huge asset when we moved in. And I especially agree with being uncomfortable in seeing who is at your door. We did not put a screen door on so seeing the person’s silhouette through the glass helps know whether its someone I want to/should open the door to. Safety first! The light has made such a tremendous difference in the “feel” of the foyer. You’ll love it if you go that route in the future!